There are always plenty of options for great shows, parties, events etc on any given weekend in Austin. This Saturday the 15th is no exception but if you're not at Barbarella for Glitoris' anniversary bash then you will most assuredly be missing out. 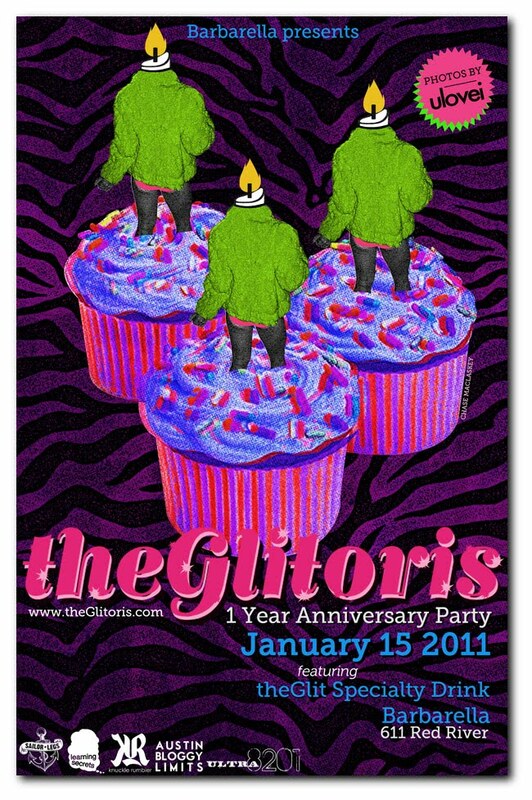 It's hard to believe it's only been a year that Glitoris has been on the scene producing some of the most fun, wild and debaucherous parties in the city. Through a mix of social-media brilliance, and an ear to the pulsing ground of electronic music Glitoris turned Tuesday night into one of the best party nights in Austin. Their Tuezgayz event turned Barbarella into a downtown destination. Don't believe me? Just ask Drew Barrymore and Scarlett Johansson where they party on a Tuesday in Austin. The whole thing will kick off at 10pm this Saturday the 15th. Arriving before 12:30am gets you admission with no cover, after that it's $3. If you get there before 11pm then you can get all the well liquor that's legal to sell you at $2 a drink. There will be a specialty drink in honor of the Glitoris made with Grapfruit Izzie, just ask for "the Glit". For those of you who wanna roll with me and the rest of the VIP's you can enter for a chance to win a wristband, which will gain you access to Barbarella's 2nd floor. Just head over to RSVP It and enter the code: 6969 (of course). Winners will be notified on the day of the party regarding their VIP status. Don't worry, there's no dancefloor in the loft area so we can still get down on the dancefloor with or without a wristband and/or shirt. Just for the record, as of the writing of this post 252 people RSVP'd on the Facebook event page indicating that this party is going to be wall to wall people dancing, sweating and generally spilling their drinks. I, for one, can not wait! This Tuezgayz promo video should give you a little taste of the kind of music/atmosphere you can expect from a Glitoris event. Oh, and I almost forgot to mention it's best to assume you're going to have beautiful photos taken so I'd dress accordingly. 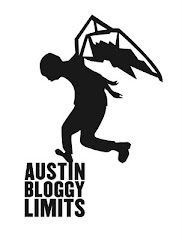 I happen to know that Austin's best party photographer, ULoveI will be attendance, camera in hand. For me that means I'll probably have to buy a new shirt since I think he's photographed me in all of my best one's already. What? I'm self-conscious about stuff like that!